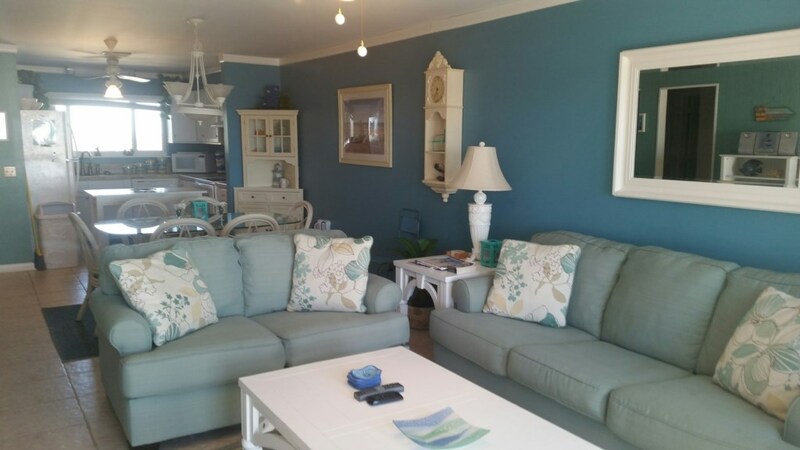 Brighten your stay in this third floor beach front unit. 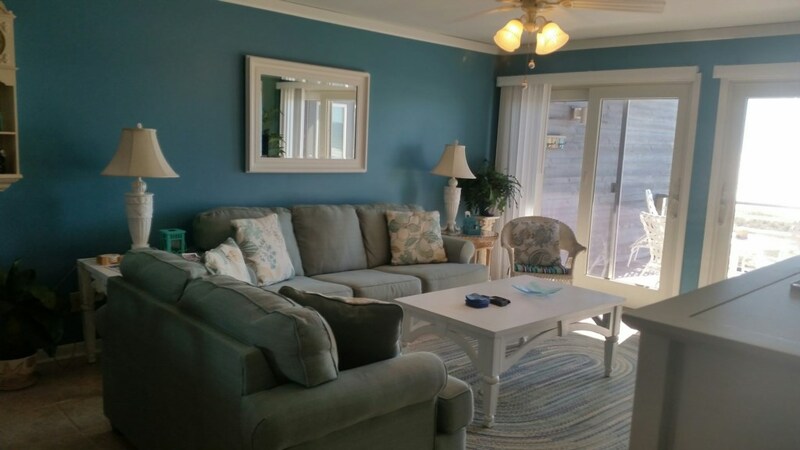 The breezy cheerful condo will put you in a beach state of mind. Step out on the balcony and you will be on top of the world. From the balcony you can view the water, the sand, sports, and one of the two pools. 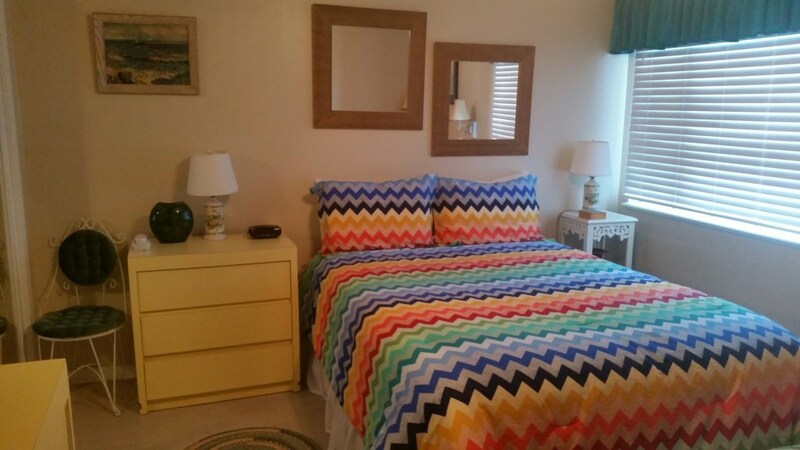 It has a queen size bed in the master bedroom with a TV. 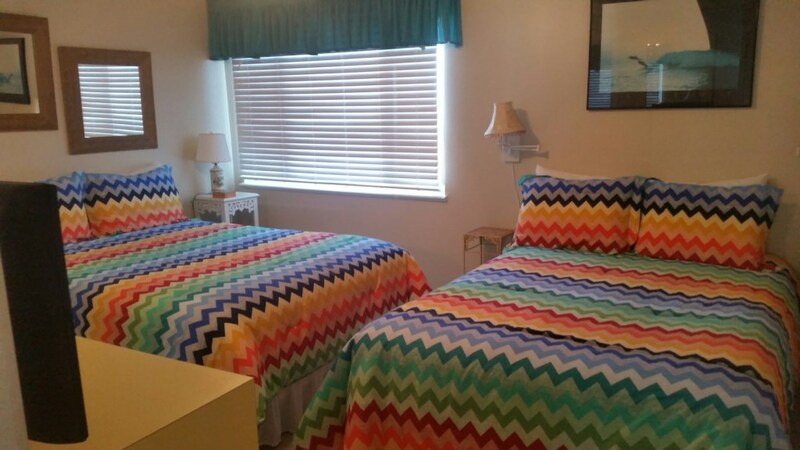 There are 2 full size beds in the guest bedroom with an additional TV. Also a sleeper sofa in the living room for plenty of rest.The unit comes with complimentary upgraded wi-fi and cable services. A tennis court you will love.There is an observation dock to view dolphins from. A fishing area to catch your attention. The unit also has a complimentary boat slip and dry boat storage. You receive two parking passes and can park directly in front of the unit.